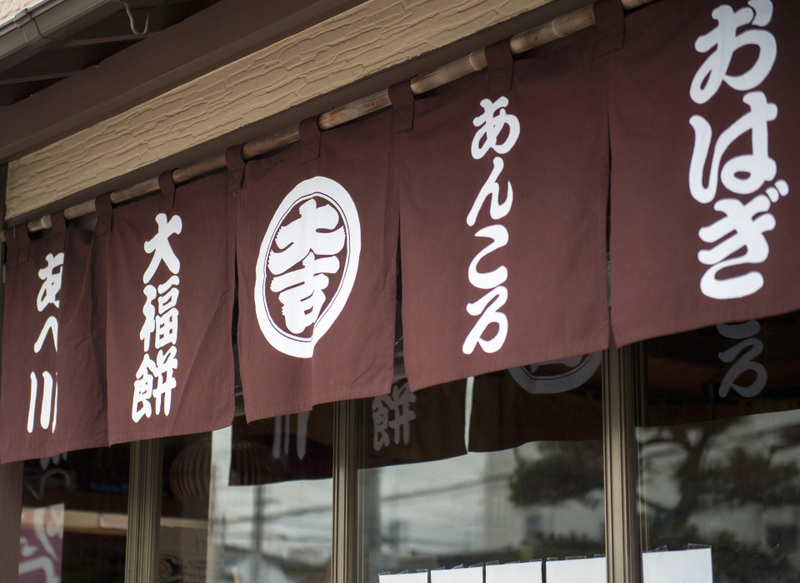 Daikichi Mochi has maintained its place of business in the old Hokkoku-Kaido, the current central Fukui city. The secret of its delicious taste is driven by two core values; applying the traditional method of Asa-Zuki, and to bring out the full flavor of its ingredients by refraining from using additives. * Asa-Zuki: Traditional method of using the mochi pounded in the morning of the day the Daikichi Mochi is produced. 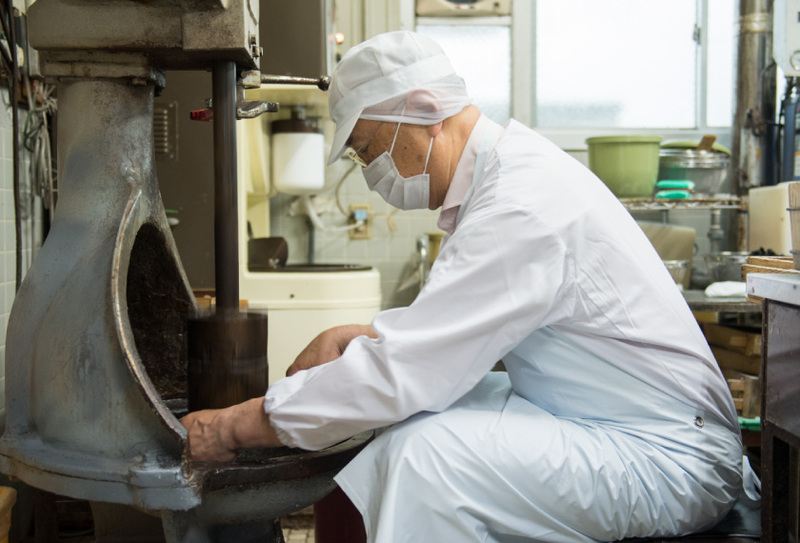 Daikichi Mochi is made only from the mochi pounded in the morning for an amount to be sold for that day. Two types of Mochi-Gome**, “Kagura-Mochi” and “Tanchyou-Mochi” are used for Daikichi Mochi. The ratio of the two are determined based on the ideal texture, viscosity and tenderness for each product. The Mochi refrains from using any additives, and achieves its ideal form by precisely adjusting the water and pounding amount. 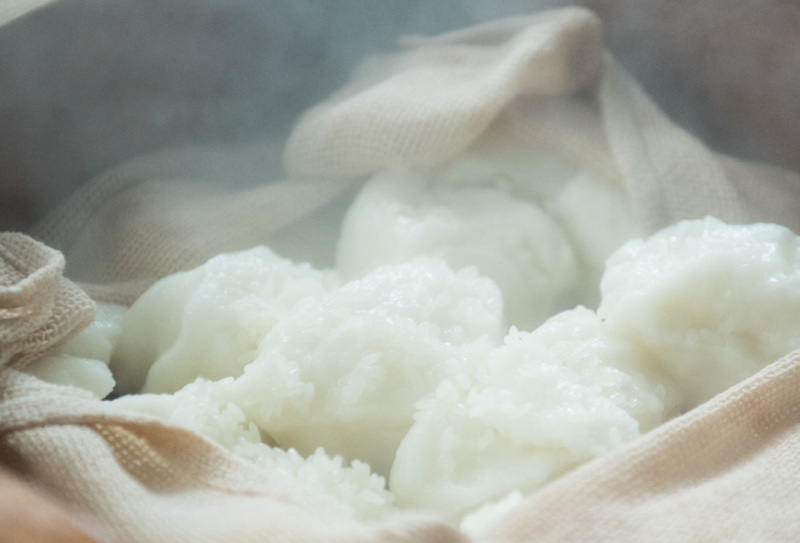 ** Mochi-Gome: Polished glutinous rice used to make mochi. The pounding machine used to pound the Abekawa-Mochi and the Daifuku-Mochi use the technique of raising the pestle with a gear and dropping it on the rice using its own weight. 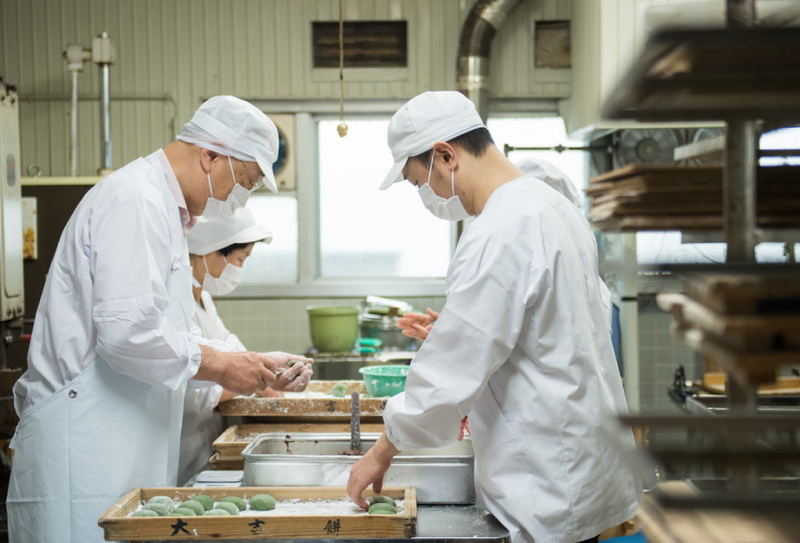 During this process, the artisan determines the ideal form by turning and wetting the mochi using its own two hands. 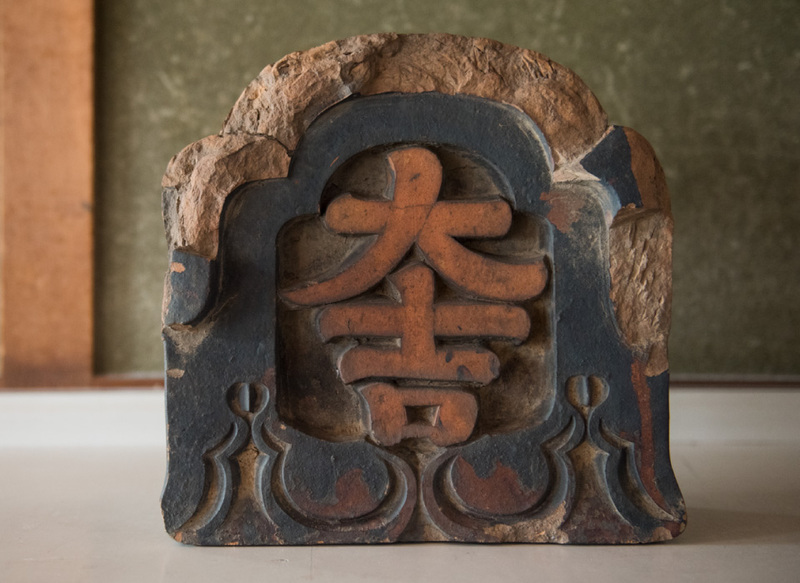 The fineness and tenderness of our mochi is made possible by applying such manufacturing process, which resembles the traditional method of using the pestle and the mortar. 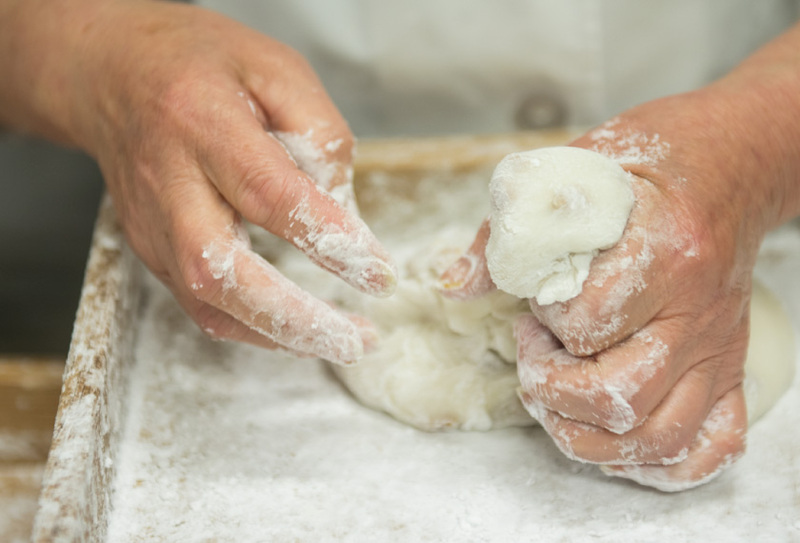 Unlike the fully automated process, the skill of the artisan makes our mochi possible. As the world becomes more automated, we believe in the importance of maintaining traditional values of “handmade”. 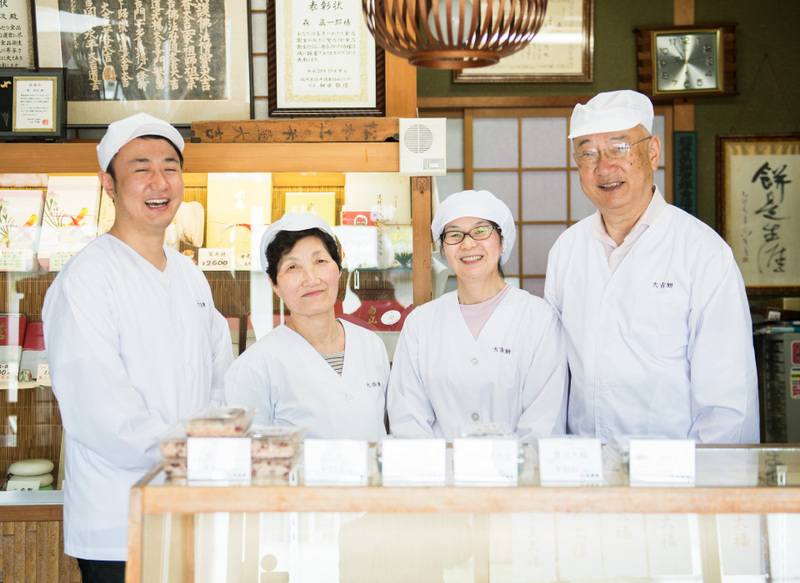 We will continue to provide quality Mochi by reflecting on our products and passing on our core values of manufacturing from generation to generation. Copyright Daikichi Mochi All Rights Reserved.